Coaxial cable tool kits include instruments for cutting, stripping and crimping coaxial cables. Tools supplied in plastic cases. They are securely fixed for easy transportation. 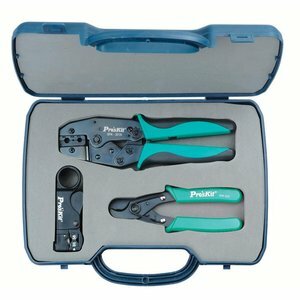 Tool kit including tools with interchangeable dies for easy and convenient coaxial cable crimping. The tools are fixed inside a plastic carrying case. 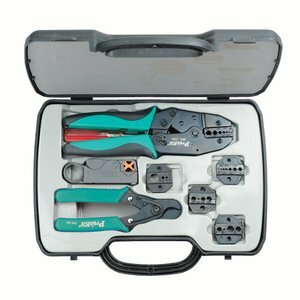 Tool kit which includes cutting, stripping and crimping instruments for coaxial cables.